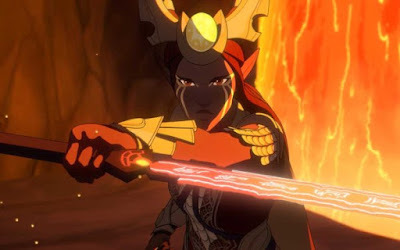 [Source: Anime Superhero] Wonderstorm and Netflix have released the trailer for season 2 of The Dragon Prince, set to premiere on Netflix on February 15, 2019. Season one premiered on September 14, 2018, and immediately topped popularity lists across Google, Rotten Tomatoes, and Tumblr. Lauded for the diversity of its characters and deeply layered storytelling, the show was renewed for a second season less than a month after its debut. The series’ mix of action, adventure, and humor attracted genre fans, families, teens, and animation fans of all ages. This season, expect new characters, new adventures and new challenges for our young heroes as they race to stop a centuries-old conflict that even kings and queens have failed to resolve. The nine-episode second season follows Rayla, Callum and Ezran as they continue their adventure to Xadia. But the journey won’t be easy: every step of the way, they’ll be challenged by new foes and old friends alike. They’ll struggle with trust and betrayal, face down vicious dragons, and be tempted by the lure of dark magic, all while protecting the newly-hatched Dragon Prince, Zym. The series is produced by Wonderstorm and led by co-creators Aaron Ehasz (head writer of Avatar: The Last Airbender) and Justin Richmond (game director of Uncharted 3). Last season: the magical lands of Xadia and the Human Kingdoms are on the brink of war. A group of elven assassins sets out to kill the human leader, King Harrow, to avenge the destruction of the egg of the Dragon Prince. But when the youngest assassin, Rayla, meets up with the king’s sons, princes Callum and Ezran, they learn that the egg was stolen, not destroyed. The unlikely trio embarks on an epic journey to return the egg to the Dragon Queen and restore peace to both their lands.